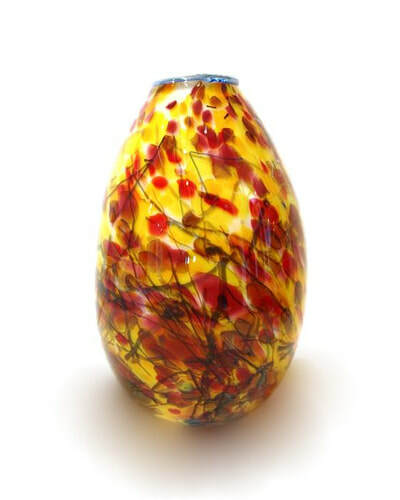 Keith Grinter runs the Grinter Glass studio located in Whangarei, where his focus is on exploring his glass blowing skills, particularly the shard pick-up technique. 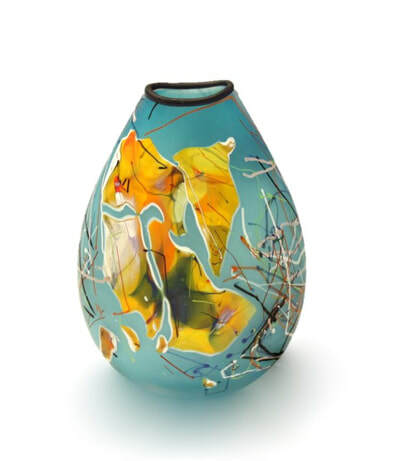 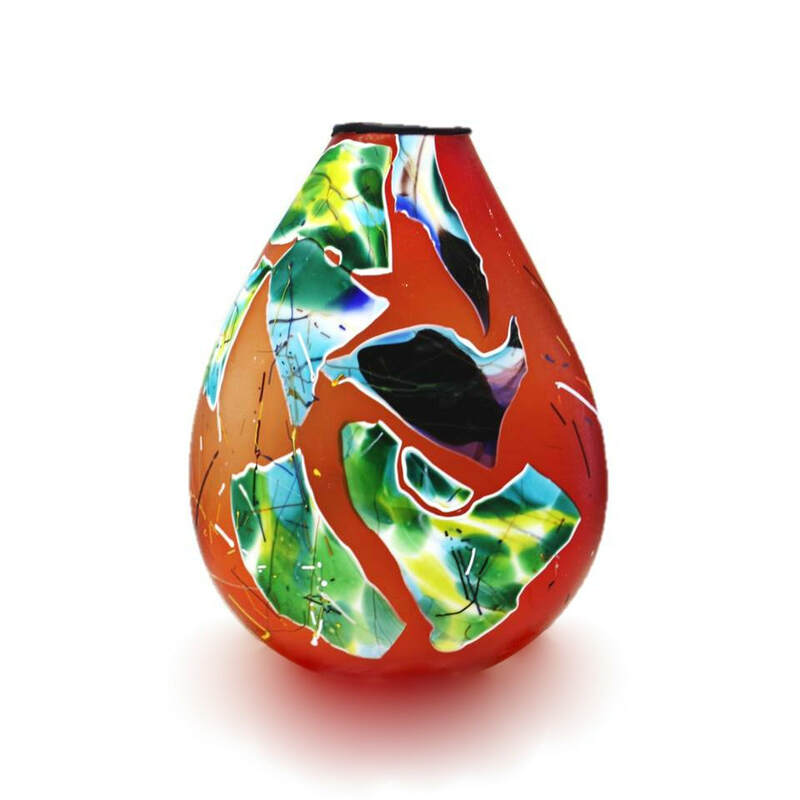 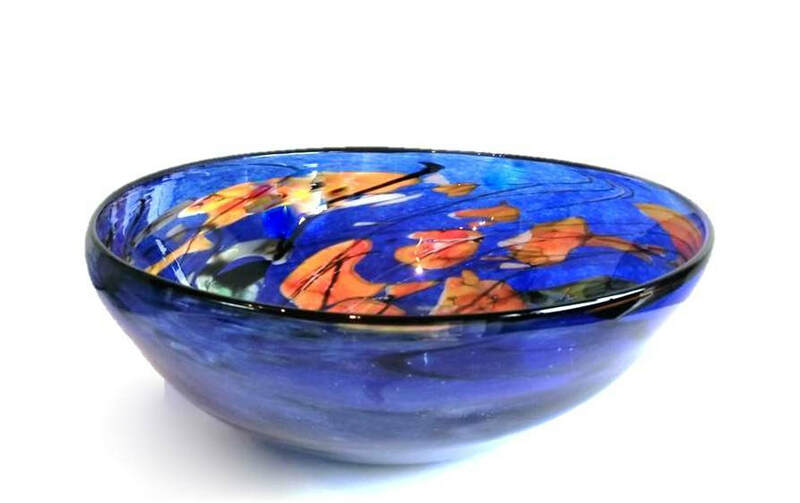 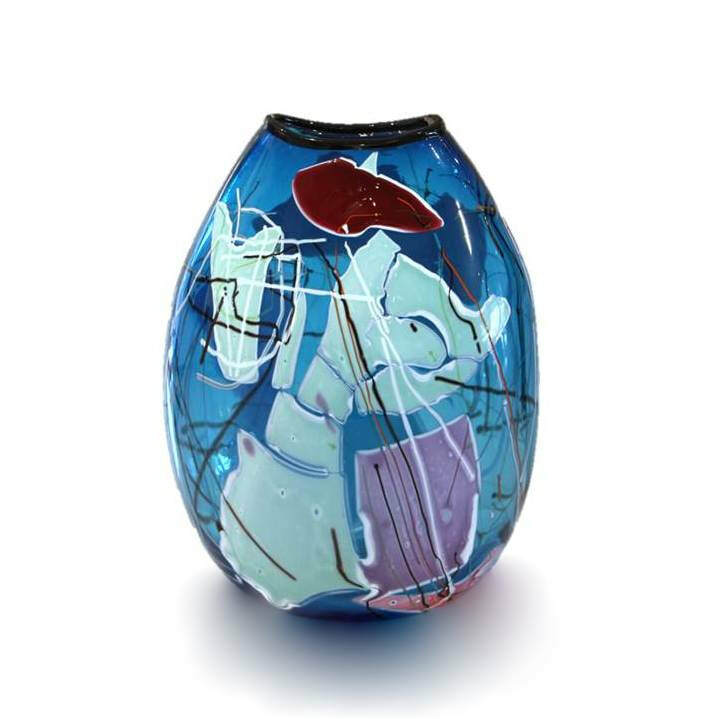 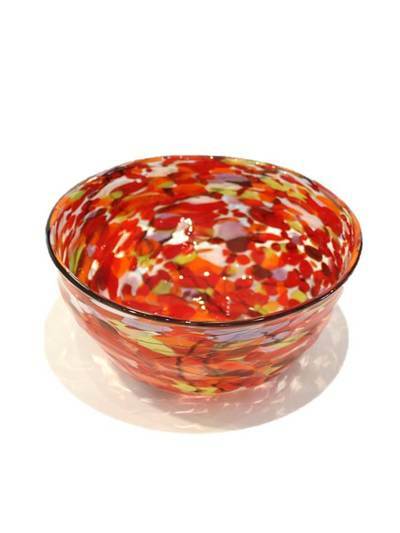 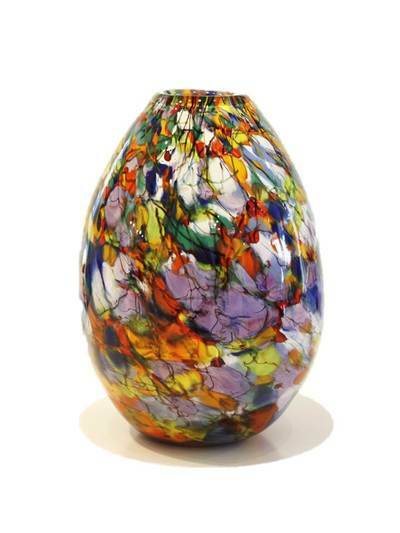 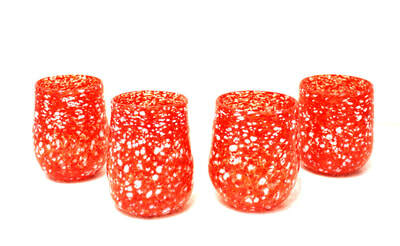 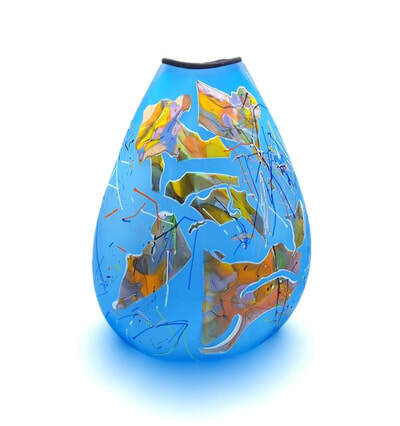 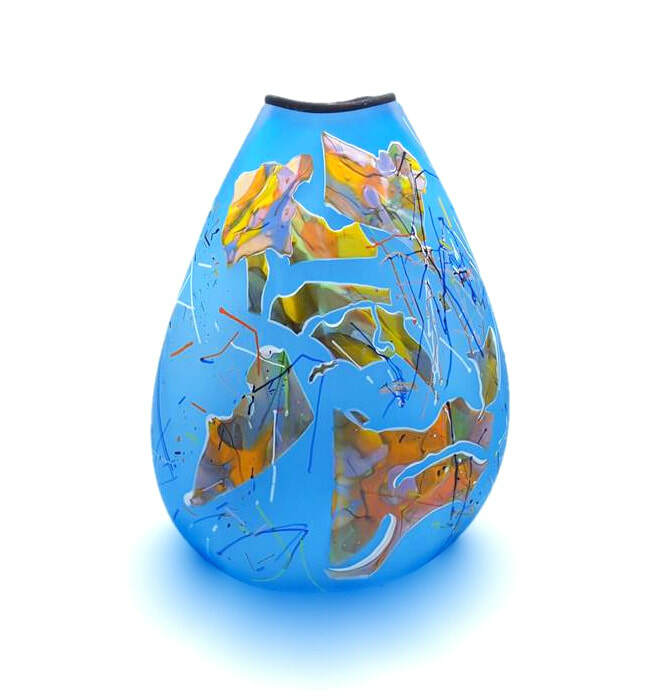 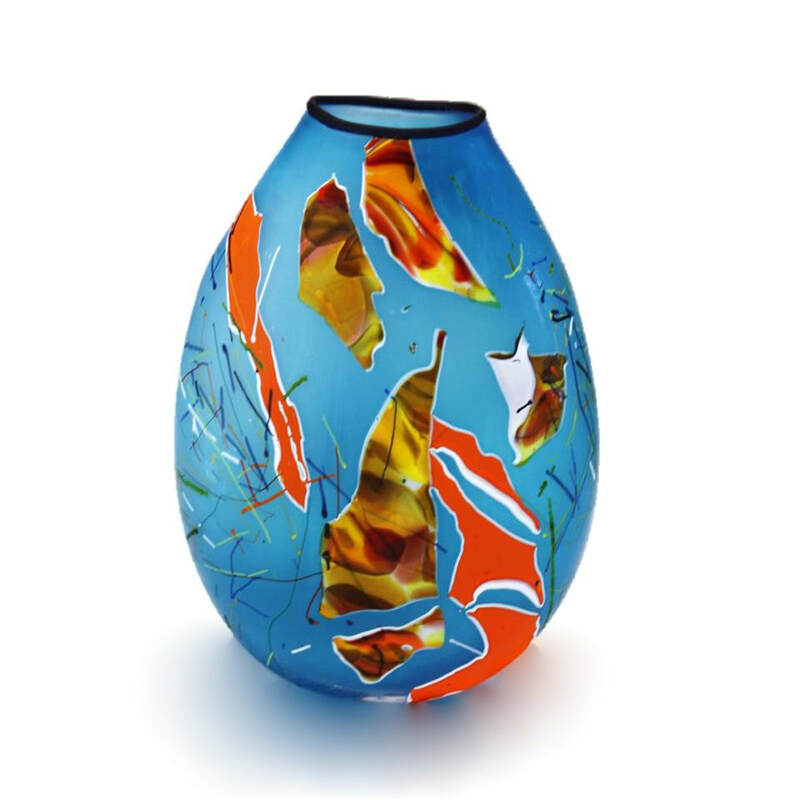 He works in a range of media including painted and blown glass, painting and sculpture. 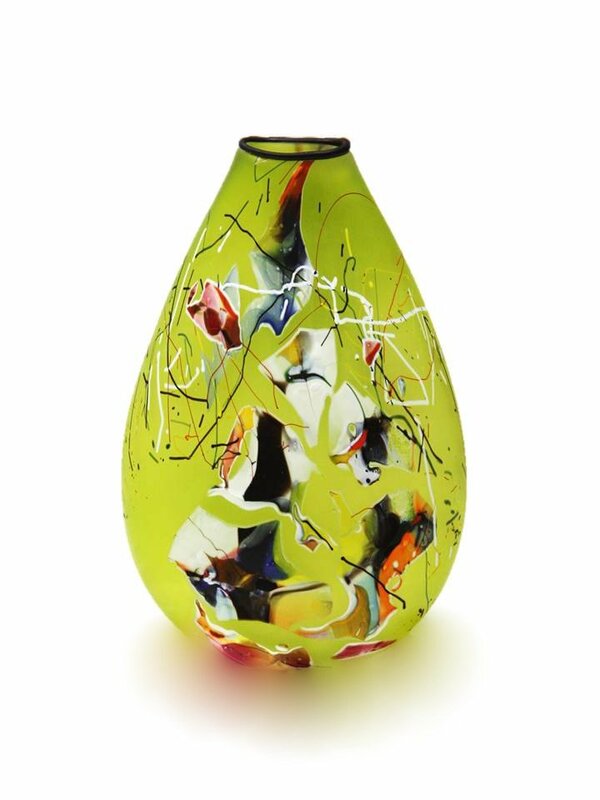 His paintings on canvas and glass are often based on blind contour drawings made while walking. 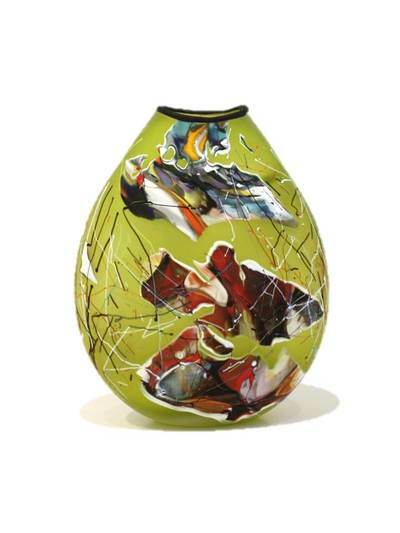 The concept of drawing while walking was developed for his Master's degree as a means to investigate the everyday. Grinter's works have become identifiable for their opaque painterly qualities, a style achieved through his 'pick-up technique'. 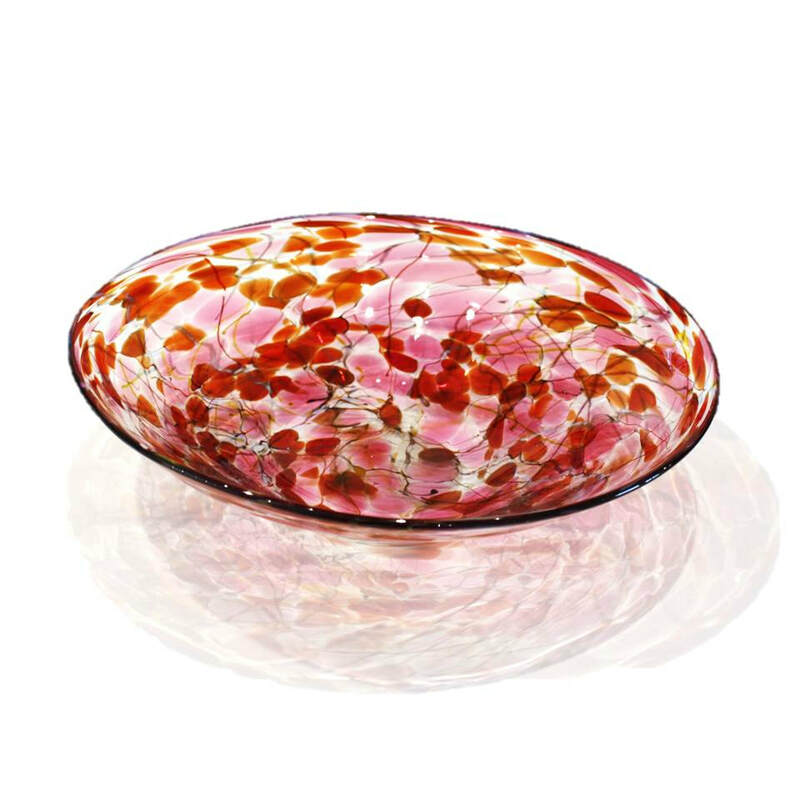 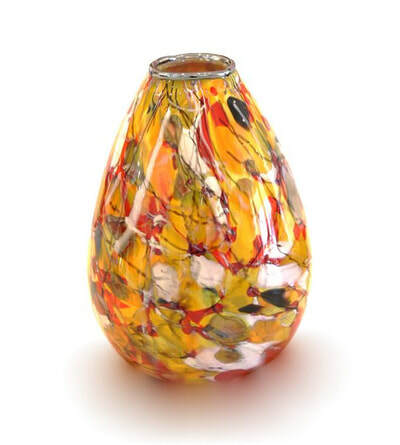 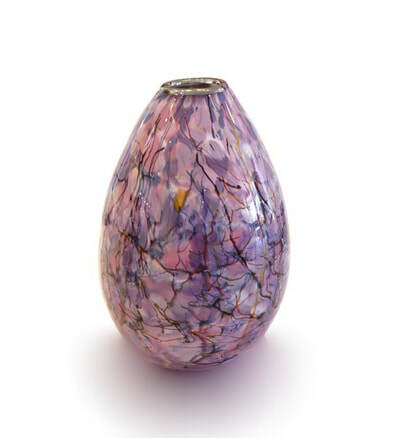 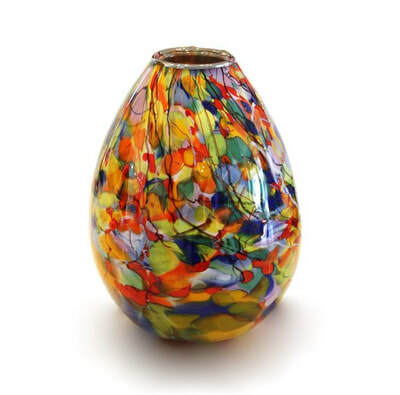 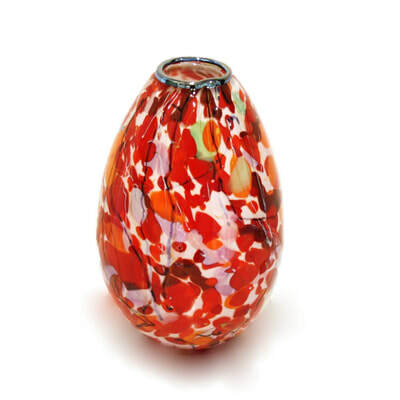 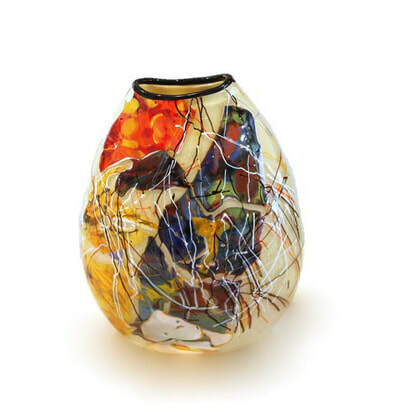 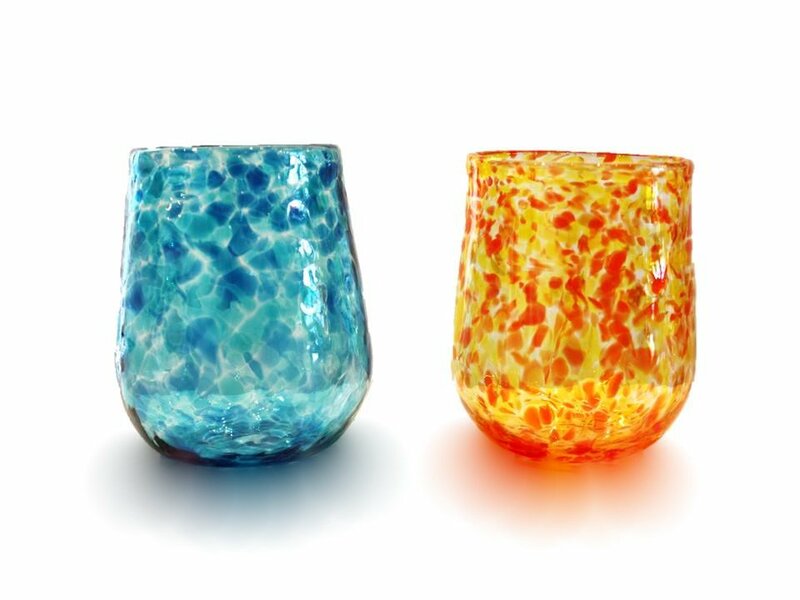 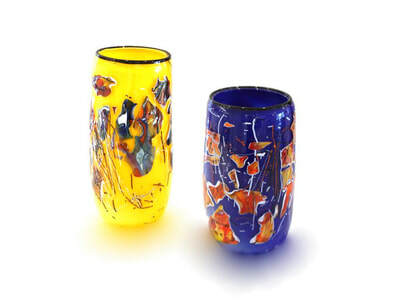 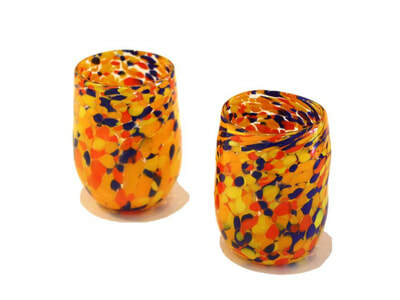 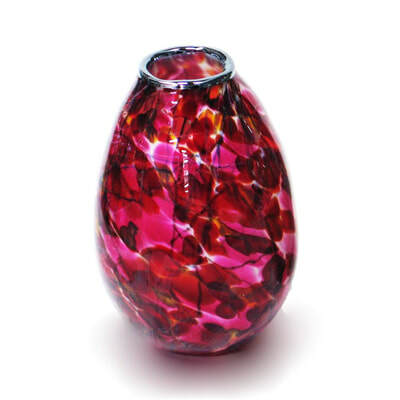 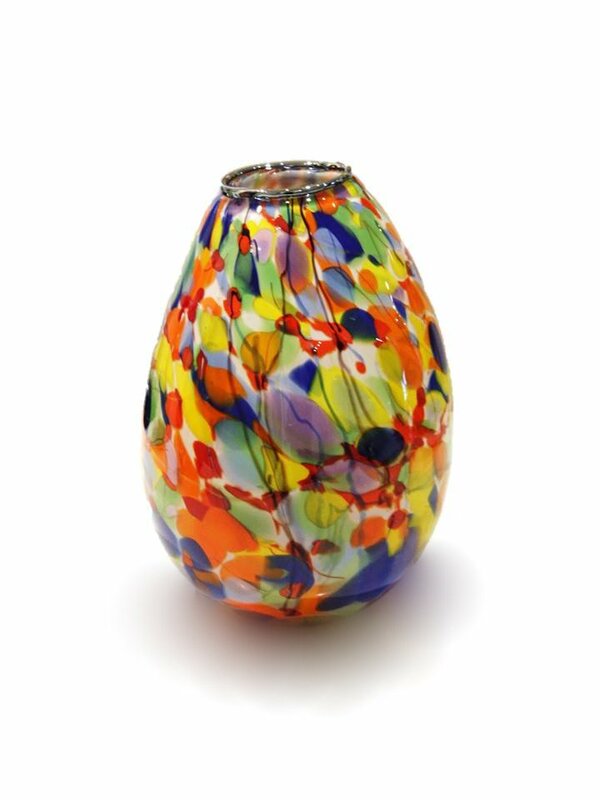 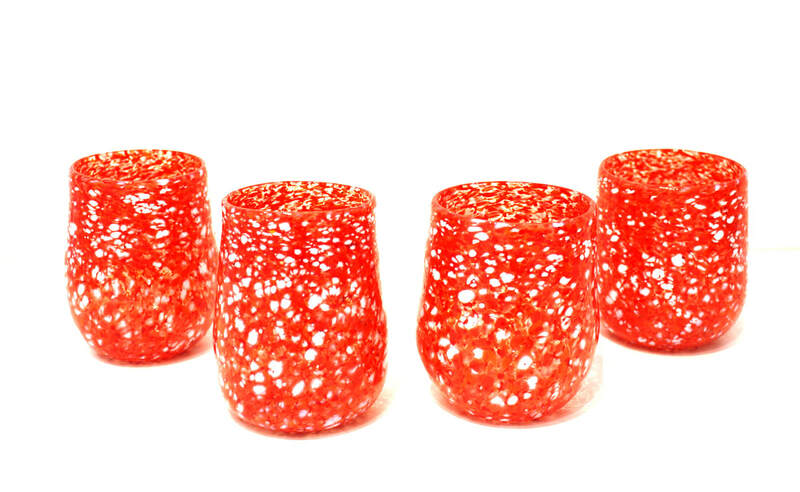 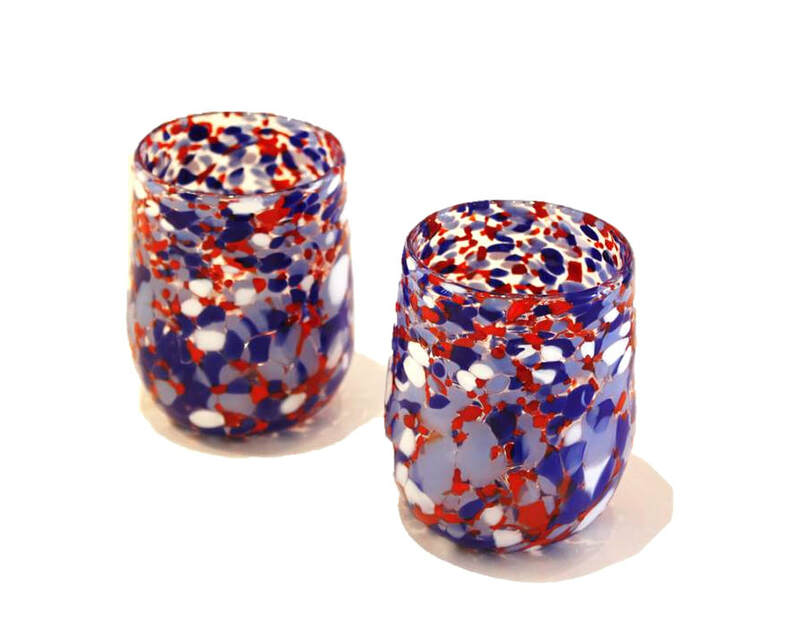 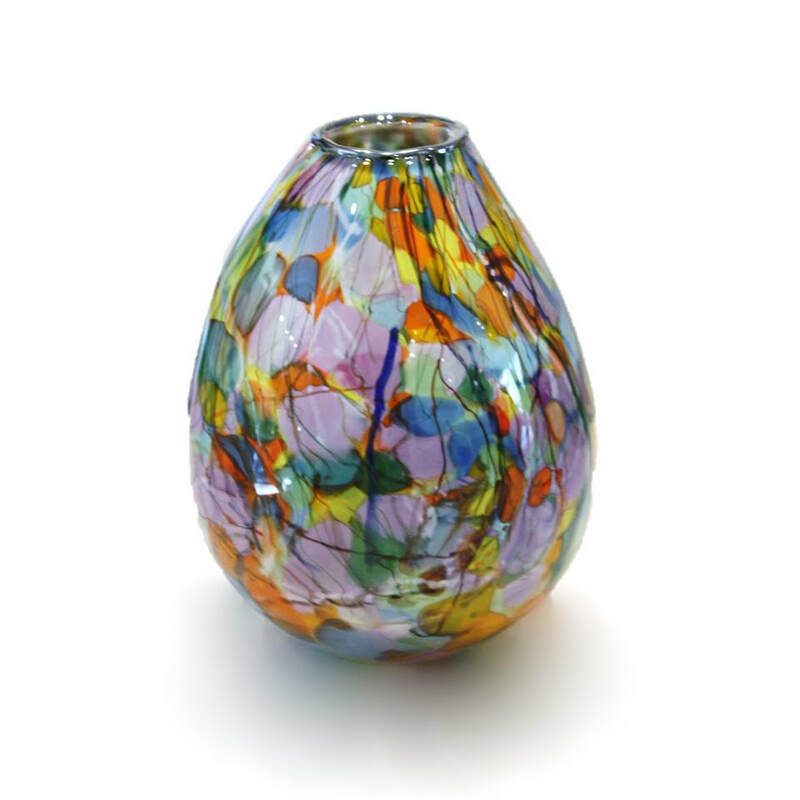 This process involves rolling shards of coloured glass into the molten parison while blowing. 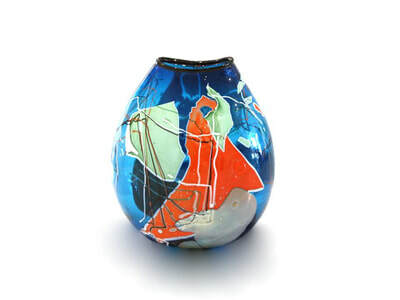 These shards add spontaneous line work to the surface of the piece which become reminiscent of modernist paintings- a genre of art that continues to fascinate Grinter. 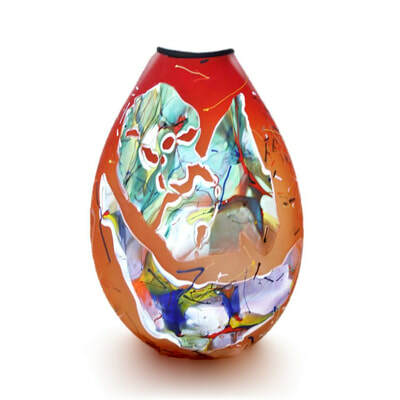 Grinter was awarded a Masters of Art and Design (First Class) from AUT University. 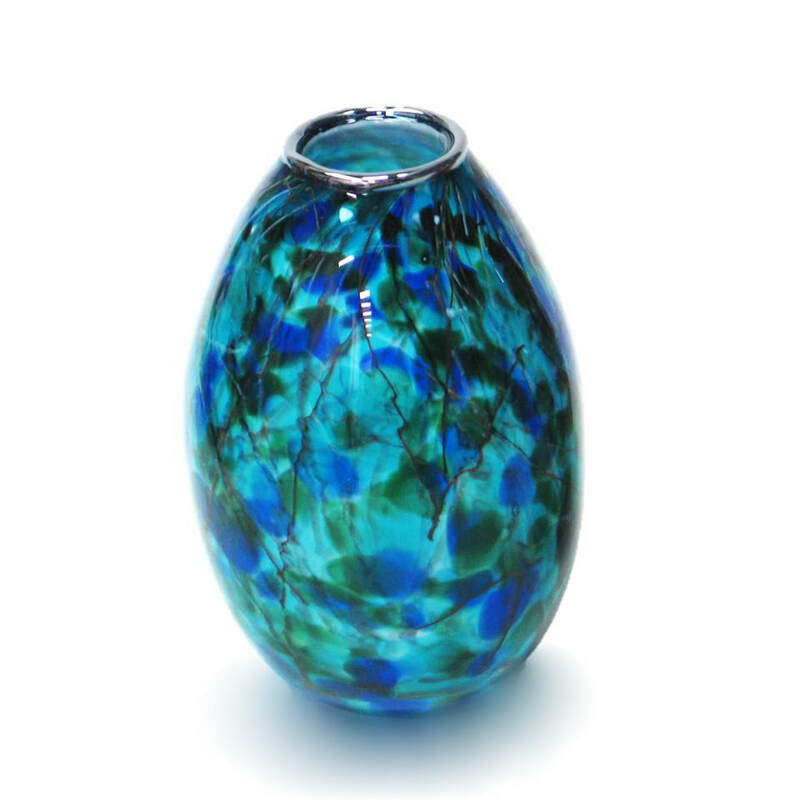 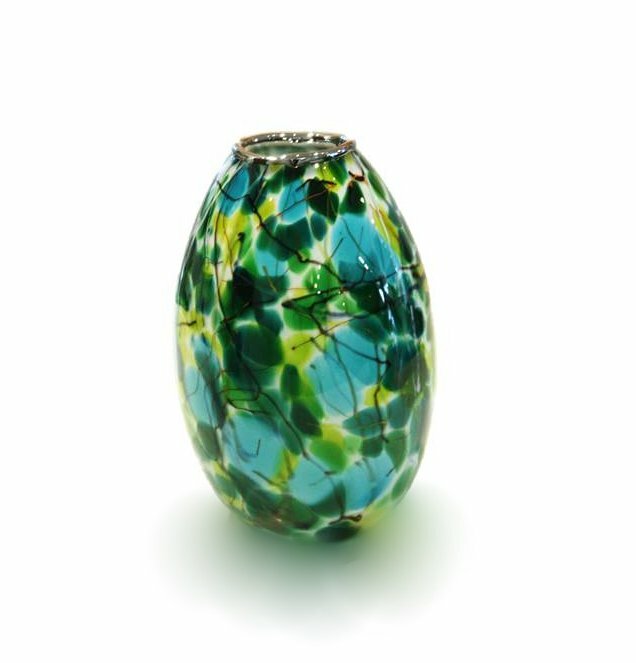 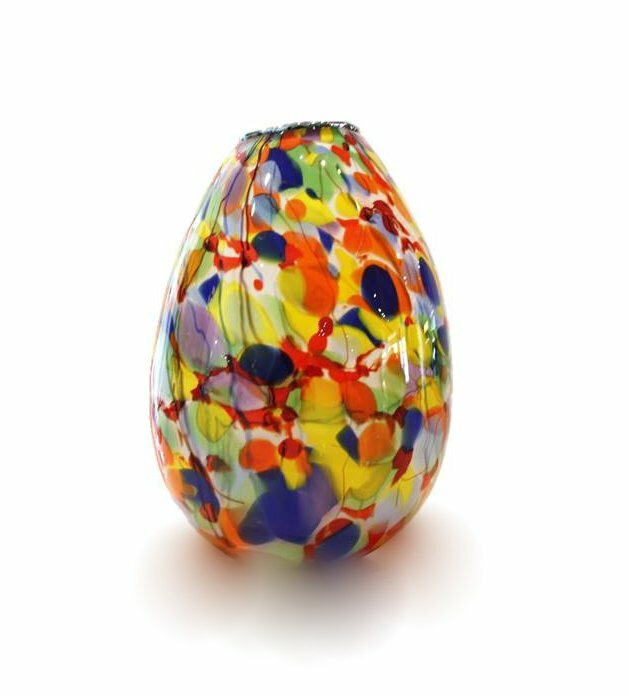 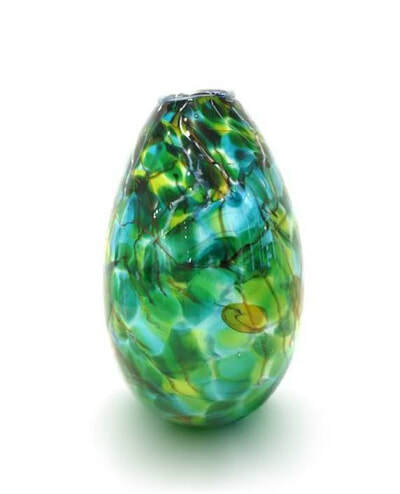 He has also received numerous accolades and awards for his glass practise including the Westpac Northland Business Excellence Award, The Doyle and Anne Robinson Glass prize and the Australasian Ranamok glass prize. 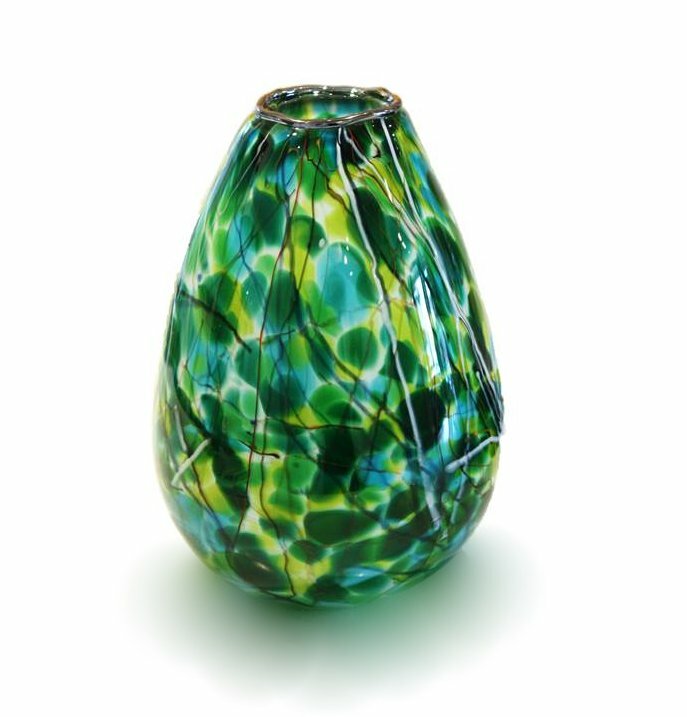 Grinter's studio continues to be an invaluable resource, not just for his own work, but as a site for collaboration between glass artists. 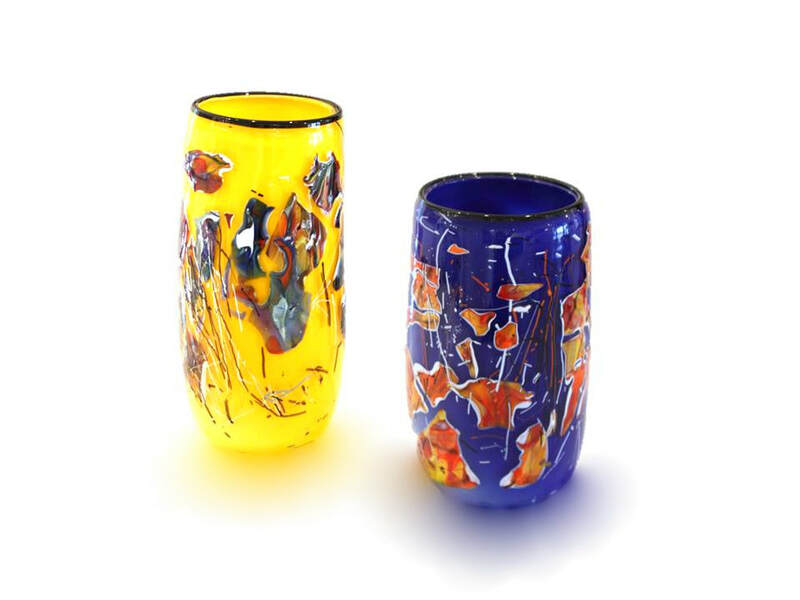 Keith Grinter uses the technique of creating glass vessels by 'picking up' coloured shards of glass. He finds that this technique fits perfectly with his painterly sensibilities.